The islands of the Firth of Clyde on the west coast of Scotland are among the easiest to reach, yet are often overlooked in favour of the better known Hebridean Islands. There are about 40 islands and skerries in the group, however only four are inhabited and they are all completely unique from each other. Arran is the largest and probably the best known island in the Firth of Clyde. It is often dubbed 'Scotland in miniature' because of its obvious Highland and Lowland geological division. It is a popular place for outdoor lovers, with numerous activities and walks on offer, including a hike up Goatfell, the highest mountain on Arran. History lovers will be satisfied too with numerous attractions including castles and prehistoric sites to visit. Machrie Moor is a site with numerous stone circles and standing stones and is my favourite site of its kind in Scotland. After all that exploring quench your thirst at Arran whisky distillery or the local brewery which both offer tours. From Arran you can also take a boat across to the Holy Isle which has a long history as a sacred place. Today it is owned by the Samyé Ling Buddhist Community and you can visit for the day or book accommodation at their retreat. ​The Isle of Bute was a place I called home for five years and know it very well. It is a compact and easy island to explore, yet offers a diverse range of attractions. Most visitors flock to Mount Stuart, said to be the most beautiful Gothic mansion house in the UK. It is also set in expansive grounds which are a delight to explore. Rothesay Castle sits in the centre of town , surrounded by a pretty moat and St Blane's Church on the south of the island was founded on one of the earliest Christian sites in Scotland. Bute Museum in Rothesay is well worth a visit to explore the many important historic artefacts discovered on Bute that at span a period covering thousands of years. There are many beautiful beaches on the island with Ettrick Bay being the most popular, however I would recommend a trip to Scalpsie Bay for great views to Arran and to spot the many seals that inhabit the surrounding water. 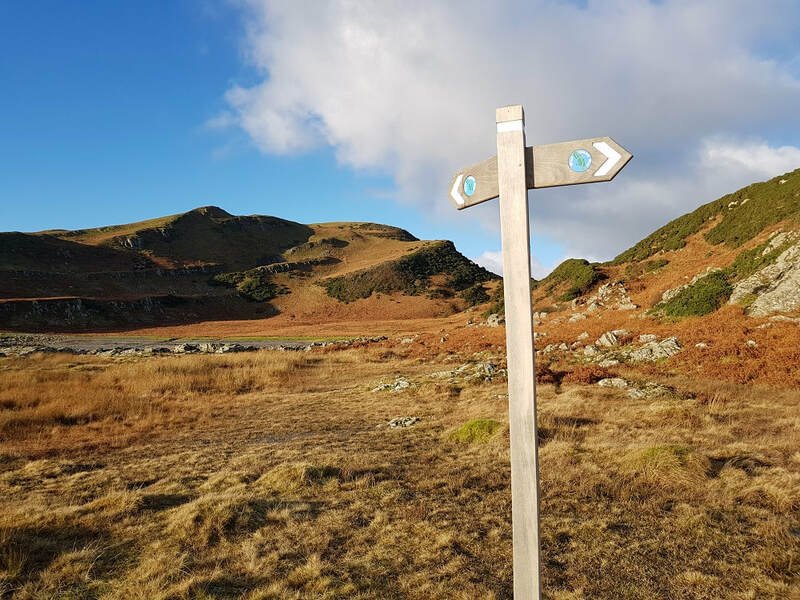 Outdoor enthusiasts will enjoy following the West Island Way, a long distance walking route that covers the length of the island with a stop off at the local brewery for refreshments. The final inhabited island is Great Cumbrae known as 'The Bicycle Island' as there are around 1000 bicycles for hire in Millport, the only town on the island. As you may have guesses cycling around Cumbrae is a popular activity as it is fairly flat and only around 10 miles in circumference. If you fancy exploring some of the other surrounding islands, including the neighbouring island of Little Cumbrae, then kayaks can also be hired locally. I personally recommend a visit to The Cathedral of the Isles which is the smallest cathedral in the UK and some claim it is also the smallest in Europe. Garrison House in Millport houses a great wee museum which covers the history of the island and is well worth a visit. One of the more unusual local landmarks is 'Crocodile Rock' , a large painted stone on the beach. A photo sitting on top is a must! However, the best thing for me about Cumbrae, is sitting outside one of the many shore-front cafes or pubs on a sunny day and relaxing with some nice lunch or a coffee. A perfect day trip from Glasgow, this little Scottish island has plenty to offer and provides a pretty and peaceful escape from the hustle and bustle of city life. 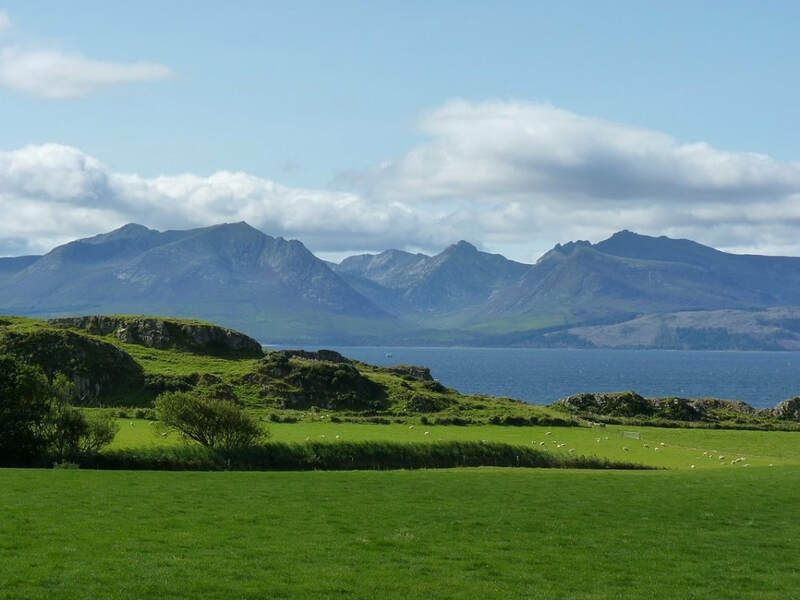 The West Island Way on the Isle of Bute (not to be confused with the West Highland Way) leads you on a 40km (25 miles) walking tour of this west coast island.